Shannonvale Landscaping are one of Limericks premium landscaping contractors and garden designers. They have established a reputation for creating beautiful and imaginative landscape designs. Shannonvale Landscaping were established in 1989 and have quickly grown a large customer base and a reputation of carrying out work to the highest of standards. 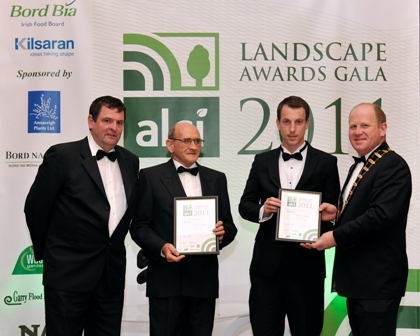 Since starting up in 1989, Shannonvale have won many awards including the A.L.C.I Award of Merit in 1995 and 1997 and more recently again 2011. The A.L.C.I. is a professional body for landscapers, encouraging the best quality work from its members. All the landscapers in the A.L.C.I. carry Public and Employer Liability Insurance.